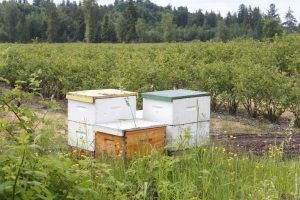 Everett Griner talks about farmers needing bees to pollinate the crops in today’s Agri View. 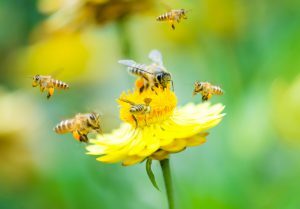 A group of European scientists has concluded that Colony Collapse Disorder is a result of certain farm chemicals. Now nobody would argue with that. But, it is not the only cause. But suppose it is. Here is the dilemma. Farmers need bees to pollinate their crops. But, if there were no chemicals to protect plants from insects and disease, there would be no crops to feed us. To paraphrase — you’re doomed if you do and doomed if you don’t. Insects and disease are ready to attack as the plant emerges from the ground. It’s at the point where farmers begin to apply chemicals to protect the field. It is easy for anybody to see. Dispense with the chemicals to protect the crops and there would be little for bees to pollinate. So, what is the answer? Well, the answer is what scientists are searching for and have been for a long time.